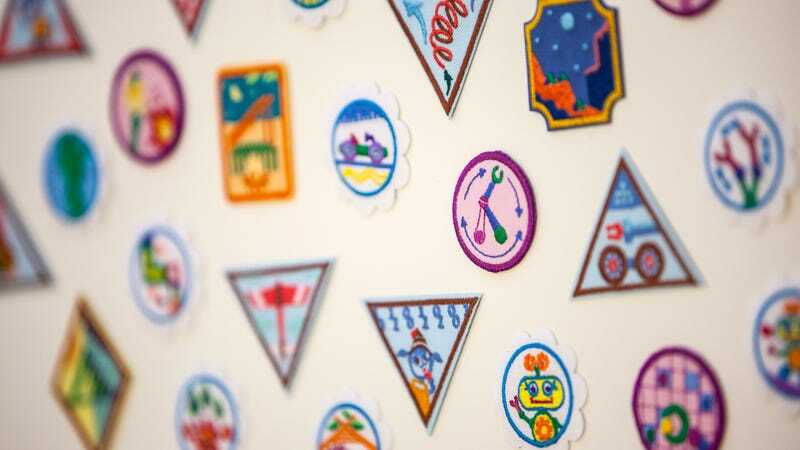 The Girl Scouts announced today that they’re beefing up their offerings in STEM and the outdoors, adding a plethora of new merit badges to further encourage young women in everything from camping to robotics, and opportunities start as young as kindergarten. And now GSUSA says the 23 new badges represent the largest programming rollout for scouts in nearly a decade, and presents the opportunity to “create algorithms, design robots and racecars, go on environmentally conscious camping trips, collect data in the great outdoors, try their hand at engineering, and so much more.” The organization collaborated with groups like the Society of Women Engineers, Code.org, and the Leave No Trace Center for Outdoor Ethics in order to create the lesson plans that scouts work through to earn the iconic, brightly colored patches. Meanwhile, girls who stick with the program until the Ambassador level—grades 11 and 12—can try for the “Survival Camper” badge, if they are willing to “challenge themselves to get by with fewer traditional camping amenities—safely.” Juniors (grades 4 and 5) can work toward an “Eco Camper” badge and learn about leaving as few traces as possible. The Girl Scouts won’t rest until an entire generation of young women is perfectly capable of building prepper compounds in the wilderness with working solar-power technology made from DIY slime and American Girl doll paraphernalia and frankly, I am for it.